David doesn't have many hobbies. 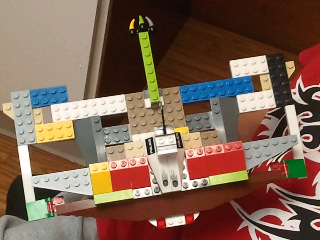 He is an insatiable reader, he enjoys video games, he likes difficult paper airplanes, and he makes lego creations. That pretty much sums up his free time activities. 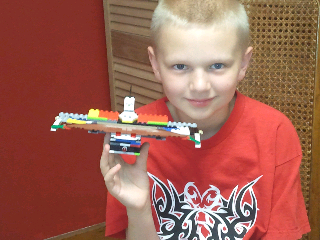 Just a quick blog post to show off his latest lego airplane. This was not a kit. He made it up by himself.